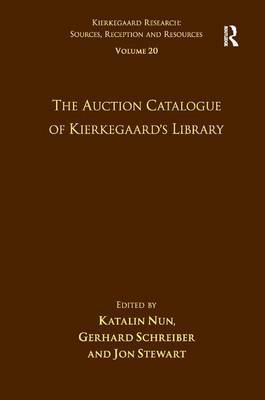 This volume is a revised and improved edition of the auction catalogue of Kierkegaard's private library. The catalogue has long served as one of the most valuable tools in Kierkegaard studies and has been actively used by commentators, translators and researchers for tracing the various sources of Kierkegaard's thought. With the catalogue in hand, one can determine with some degree of probability what books he read and what editions he used for his information about specific authors. The present volume represents the fourth printing of the catalogue, and it differs from its predecessors in many respects. The previous editions contained incomplete, erroneous and inconsistent bibliographical information about the works in the catalogue. The primary goal of the present edition was to obtain all of the books and check their title pages for the precise bibliographical information. The result is an accurate and reliable edition of the catalogue that conforms to the needs of Kierkegaard studies in the digital age.